Thank you Megan for another great experience. With so many options on the high street - Garretts tops them all. Thank you to Lewis and team for another great haircut. Always professional and chatty. Colour B/D & Nails ???? Excellent . All under one roof. Lovely colour and cut from Megan as always and a great new nail service. Shelac and Acrylics the lady does a beautiful job. Well worth checking out while getting your hair done. All round great place to go...Thanks guys!! Lovely salon, Clean, beautiful boutique decor, comfortable chairs and basin chairs. Amazing products. Most importantly stunning colour and cut EVERY time! Staff are also extremely friendly and welcoming. Great care by lewis as always and very relaxing scalp massage by Lynette. Thanks so much for being so accommodating my Mom Loved her treat with you. Root tint fabulous as usual great service and wonderful atmosphere. The introduction of a nail bar is the icing in the cake a very thorough and well executed job will definitely be returning. Great haircut Lewis, highly recommended! Lovely highlights with Megan and the Olaplex treatment is worth every penny! It was our first time here and we will definitely return, was a great experience. 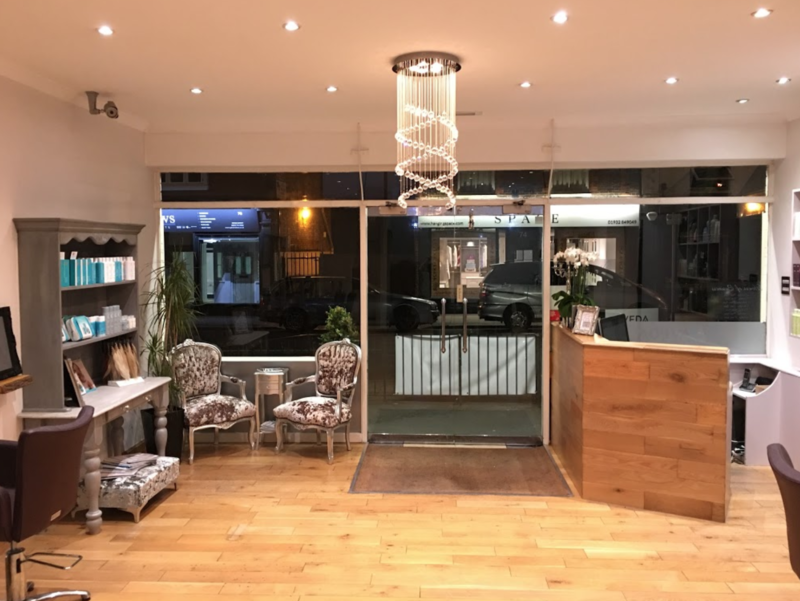 The staff were really friendly and welcoming and the salon is lovely. Very professional, friendly service. Lewis listens carefully to what I want and cuts/highlights my hair brilliantly every time. Just had my hair styled by Lewis and a fabulous cut as always ! !